The Garabito Municipality was out cleaning the beaches of large debris this morning. Over the course of the rainy season the shore can become cluttered with large logs, bamboo and smaller shrubbery. This debris has either washed down the rivers or washed unto the beach from currents dragging it in from the ocean. The Municipality needed to use a backhoe due to the weight of some logs, as well as the amount of tree limbs that lined the coast. Charles Boyd and all who enjoy either walking the beach or being out in the ocean greatly appreciate this effort. 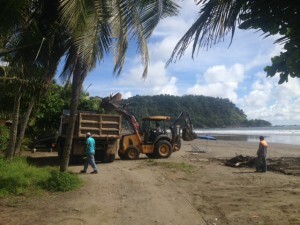 It will now be much easier to cross onto the beach with less concern that a floating log might come rushing into the ocean where families play and surfers surf. While it may seem an insignificant action to clean the beaches of large debris, the leadership of our local government sets a strong example for individual citizens. The Municipality has projects that are continuously improving our county. Charles is so grateful that his local government is just as dedicated to improving and edifying the community, as he is. Costa Rica Charlie has been living and doing business in Garabito county for many years. It is always a blessing to see the local community growing in positive ways. 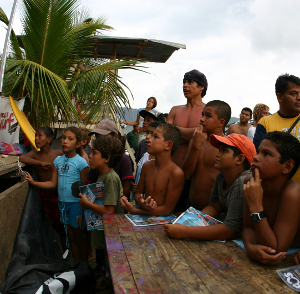 Dedication to keeping Jaco beach clean and safe is a goal we all share. It is so important for the upward growth of our community that we support our local government and the efforts they are making at improving our home town. Through these improvement efforts we invite more business, tourism, community activities and pride in our community. 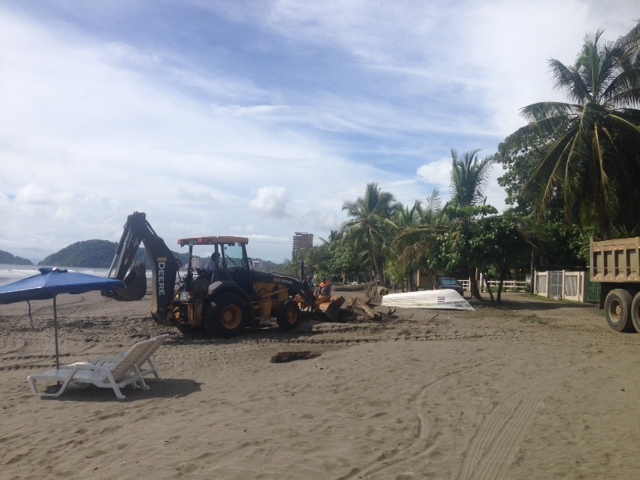 Whether we do a small part by picking up trash during our own beach walks or participate in community sponsored events, we show our love and support for the beautification of Jaco. ← Are you ready to move to Costa Rica?